Just a quick post to show you these 2 beauties I got fairly recently. My April Julep box arrived with that crazy slimy green shimmer that I used in my Ghostbuster manicure (check out my last blog post) and another polish so gorgeous I used it that day. Julep describes Kayla as “electric iris sheer with violet sheen.” It looks almost blue in certain lights, then purple with a pinkish shimmer in others. It is, indeed, sheer… so I used 4 thin coats to make it opaque. Stunning right?! My accent nail is KBShimmer Daisy About You. This was actually my first KBShimmer polish, and I’m in love! Great formula, opaque in 2 coats, and full of gorgeous multi-sized glitter. It’s a pale minty green crelly with greyish lavender and neon green hexes, lavender daisies, and lavender microglitter. So pretty! The bigger pieces of glitter sit well on the nail and come out easily without fishing. 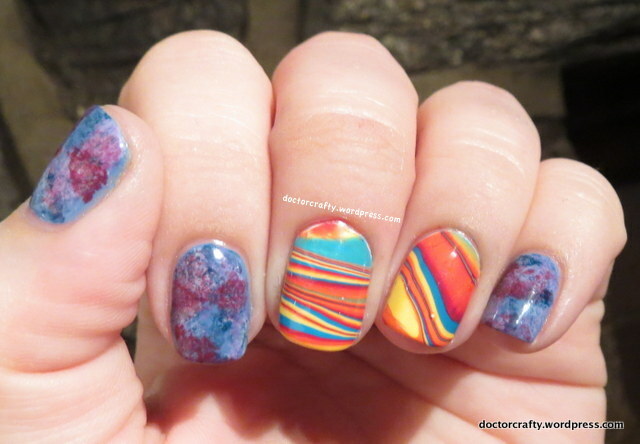 This entry was posted in Nails and tagged doctor who, julep, julep kayla, kbshimmer, kbshimmer daisy about you, manicure, nail polish, nails on April 30, 2014 by doctorcrafty. April NCC #3: Don’t cross the streams! I finally edited pictures from a buttload (yes, that is a technical measurement… non-metric, obviously) of slightly older manicures, so I will have more posts coming up soon! First on the list is the 3rd Nail Challenge mani for April (theme: music, movies, tv). As I’m sure you have gleaned from previous posts, I’m just slightly obsessed with the 80s – music, style, movies, the list goes on! One of my all-time favorite movies from the 80s is Ghostbusters. When I was a child, I did go through a phase of being terrified of the Stay Puft marshmallow man, but I never lost my love! Bill Murray is just pure sarcastic comedic gold! 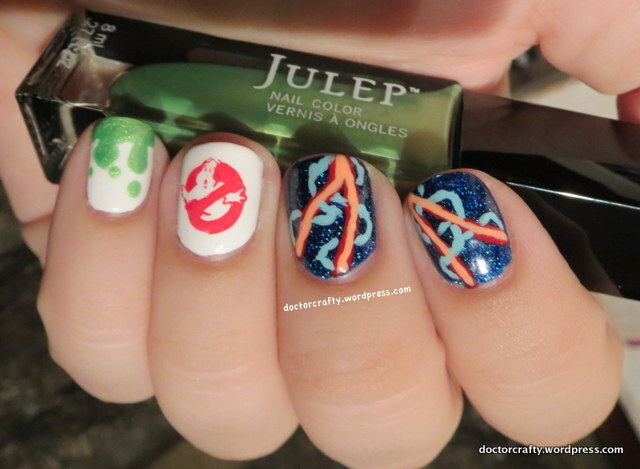 So of course, I had to do a Ghostbusters-themed mani for the challenge. This entry was posted in Nails and tagged bill murray, china glaze, china glaze sun of a peach, formula x, formula x pyrotechnic, formula x white matter, ghostbusters, ghostbusters manicure, julep, julep tatum, manicure, moyou london, nail art, nail polish, nails, sally hansen, sally hansen blue-away, zoya, zoya dream on April 23, 2014 by doctorcrafty. 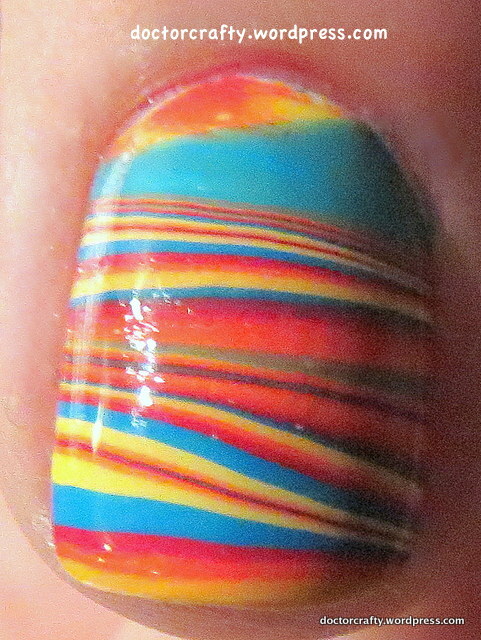 I just HAD to pay tribute to one of my favorite 80s bands for the Nail Challenge Collaborative’s Music/ Movies/ TV theme. 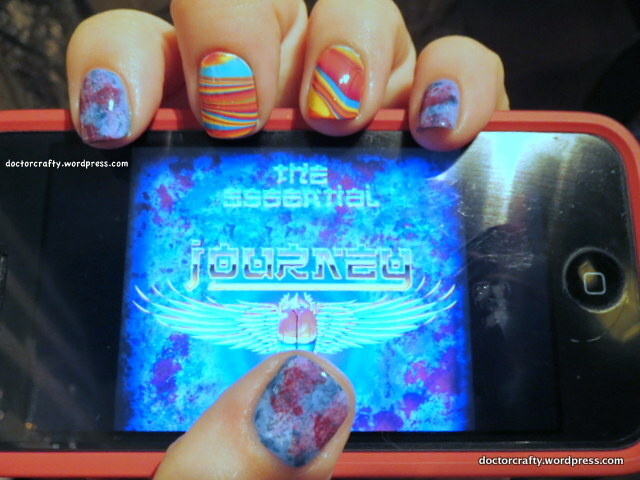 It’s time for my JOURNEY-inspired manicure! As you can see, the album cover background almost looks like a combination of a saran wrap manicure with some sponged on details. So that’s exactly what I did for my thumb, index finger, and pinky. 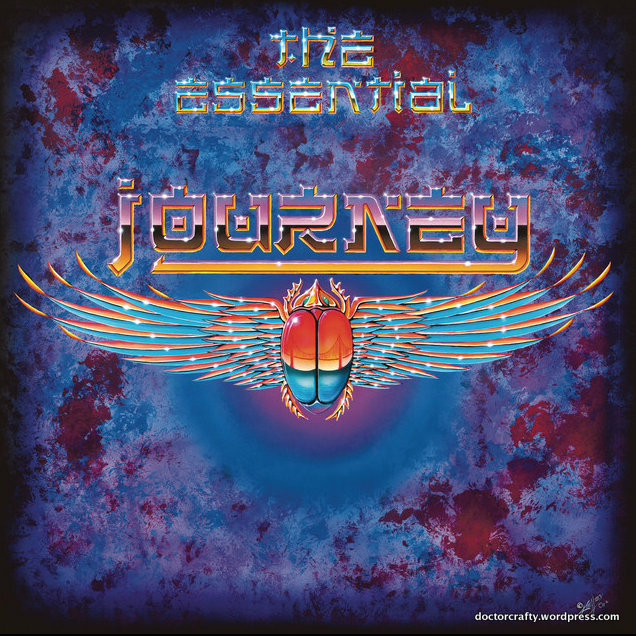 So I don’t enjoy it as a complete manicure, but I think it served its purpose paying tribute to Journey. What do you think? This entry was posted in Nails and tagged china glaze secret peri-winkle, color club baldwin blues, essie play date, formula x heart-stopping, formula x pyrotechnic, journey, julep aisha, manicure, music inspired nails, nail art, nail challenge collaborative, nails, sally hansen blue me away, sally hansen mellow yellow, sally hansen sun kissed, saran wrap manicure, sponging, water marbling on April 14, 2014 by doctorcrafty. I was lucky enough to be sent 3 brand new creations from a local nail polish creator, Melissa of Lacquer by Lissa. She’s an amazingly creative woman who is located right here in Pittsburgh. By day, she’s a chocolatier (ummm, can you say amazing job?! ), and by night she’s a superhero! JK, she also uses her creativity to make beautiful nail polish. She just released her Spring 2014 Collection, which is an array of gorgeousness. She also is now selling vinyl nail decals, which are supercute. Some adorable bunny decals were included in my package, which made my day happy. 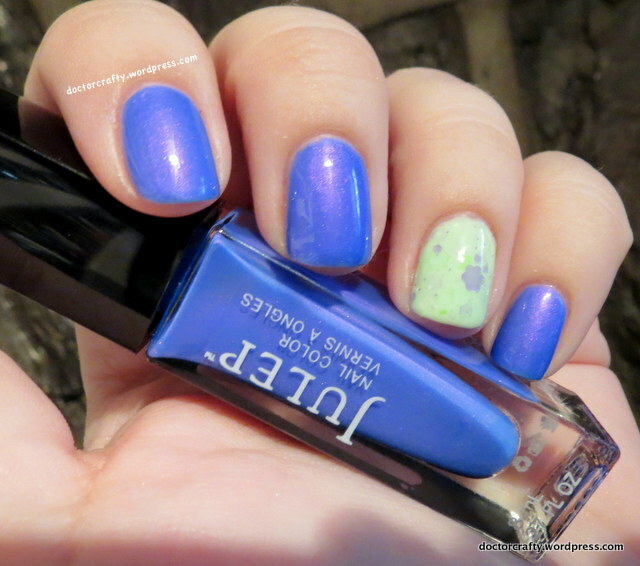 This entry was posted in Nails and tagged bunny love, dancing in the daisies, essie, essie boom boom room, essie naughty nautical, formula x, formula x white matter, lacquer by lissa, manicure, nail polish, nails, polish review, sally hansen, sally hansen breezy blue, sugar coated on April 11, 2014 by doctorcrafty. 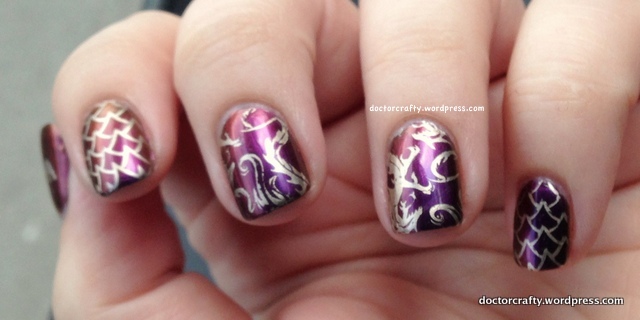 April Nail Challenge Collaborative: Week 1 Game of Thrones! April’s theme for the NCC is Music, Movies, & TV. Such a great theme and sooo many ideas. My first one coincides nicely with the return of Game of Thrones! I’ve read some of the books – enough to be warned of the nasty Red Wedding and then some. So I’m excited to see some of the upcoming developments in the show and how they’ll portray it on screen. HBO has done such a great job bringing those books to life so far! I started with a polish I bought back in February from I Love Nail Polish – Undenied. It’s one of the gorgeous ultrachromes from Barbra’s new Spring collection. There’s a purple-burgundy-red-gold shift that is absolutely stunning! I wore it on its own for a day or two, then decided it was a great base color for a dragon-themed manicure for the NCC. Because who doesn’t love the dragons? And Daenerys? She’s such a badass. I stamped using Messy Mansion’s MM21 plate – it has some amazing images including dragons, scales, koi fish, and even mermaids. I stamped using Essie’s Good as Gold, one of the best stamping polishes I’ve found outside of Konad! Just look at that index and middle finger! It shows the beautiful range of colors. 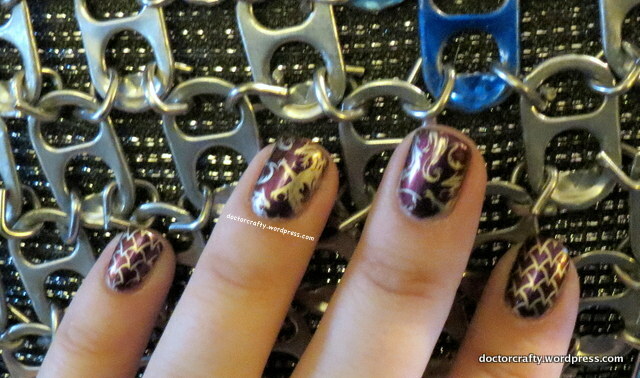 Not the best pic of my nails, but the above picture shows part of the chainmail my crafty husband made out of soda tops. Is anyone else gearing up for Game of Thrones tomorrow night? I’m so excited! Here’s to the Mother of Dragons! 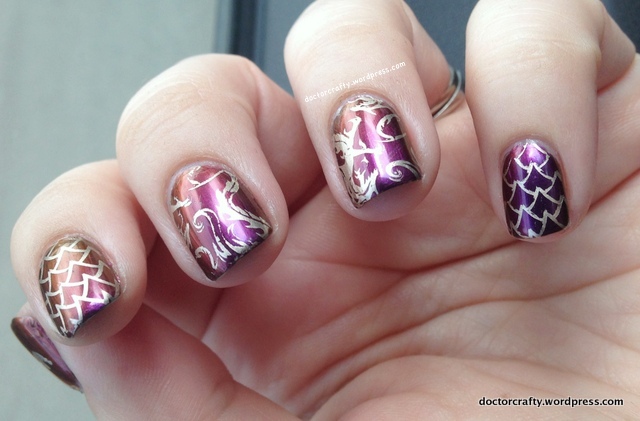 This entry was posted in Nails and tagged essie, essie gold as it gets, game of thrones, ILNP, ILNP undenied, manicure, nail art, nail challenge, nail challenge collaborative, nail stamping, nails on April 6, 2014 by doctorcrafty. 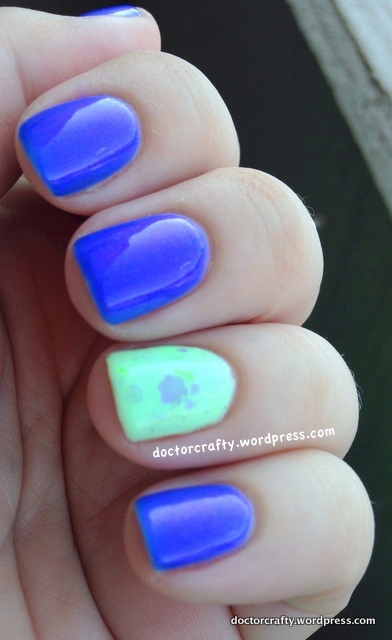 My personal polish game-changer… And a sneak peek of a review! I love glitter. I don’t think I’m the only one who does, am I right? I rarely wear a mani with a ton of glitter since it’s such a pain to remove. Those stubborn leech-like pieces that won’t come off and the other pieces that migrate around your hand that you find days later. I just can’t deal. I’m sure you’ve seen all the hype around OPI’s new glitter base polish. I read about a million reviews, and the conclusion I came to was that maybe I should look for a non-PVA base product. 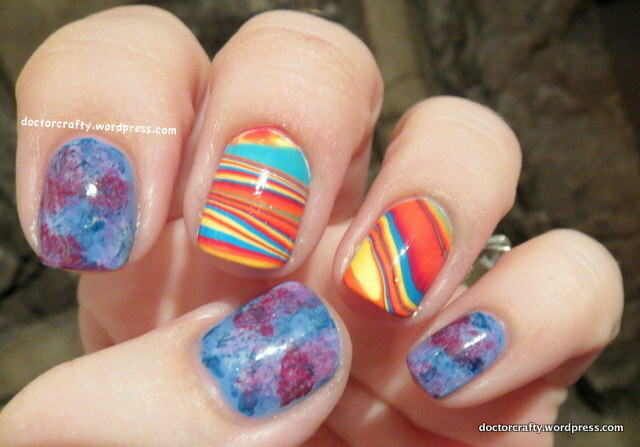 This luckily coincided with Colors by Llarowe’s restock of Nail Pattern Boldness products. NPB apparently has been making this amazing glitter base polish for awhile, but it’s totally new to me! Glitter A-Peel is amaaaazing. It’s non-PVA (aka glue) based and supposedly lasts a bit longer than the OPI/ glue-based versions. I first tried it out with a gorgeous PolisHaus I picked up awhile back but have never worn. “Farewell” is a beautiful shimmery grey with multicolored multi-sized glitter pieces throughout. Really pretty, right? This was 3 thin coats over 1 coat of NPB’s Glitter A-Peel. I put this at night, and the next day was a full day in the lab. In the lab, there was lots of washing hands, putting gloves on and taking them off, and handling of chemicals. Then, I worked in the hospital overnight where again, there was a lot of glove-wearing and hand-washing. Lo and behold, my lovely glitter polish stayed on! The next day after my shower, they started popping off. I say popping off because that’s almost literally what they did. All but one nail came off in one piece. There are only 9 above because I lost one in the shower. Sooo easy to take off. Yes, it only lasted a day and a half. But as I mentioned above, I was pretty rough on my hands during that time. And I usually get chips around that time anyways. So I count this as a major success. It was so easy to take off this glittery goodness – those nails that didn’t pop off on their own, I just used an orange stick to help peel them off. To make it nice and clean before my next mani, I swiped my nails down with a tiny bit of remover… but that wasn’t necessary to remove the polish. Like I said, game changer! I’ll definitely be more willing to wear all those amazing glitter bombs now. And now a quick teaser of a review that’s going to come soon! 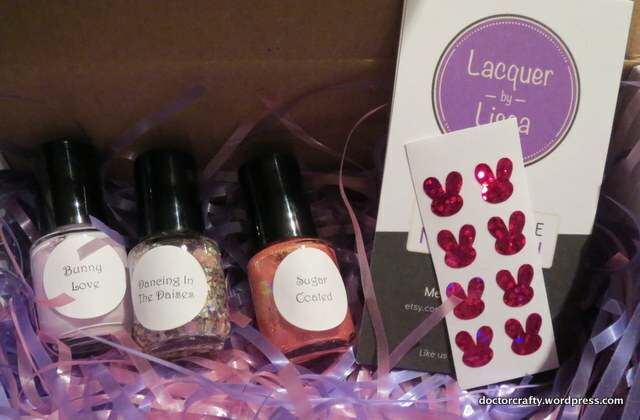 I was sent part of the new spring collection from Lacquer by Lissa, a local Pittsburgher who makes some fantastic creations. I’m still playing with combinations for the glitter topper. Just look at that packaging too! So perfect for spring 🙂 Stay tuned! This entry was posted in Nails and tagged glitter a-peel, glitter polish, lacquer by lissa, nail pattern boldness, nail pattern boldness glitter a-peel, nail polish, nails, polishaus, polishaus farewell on April 2, 2014 by doctorcrafty.